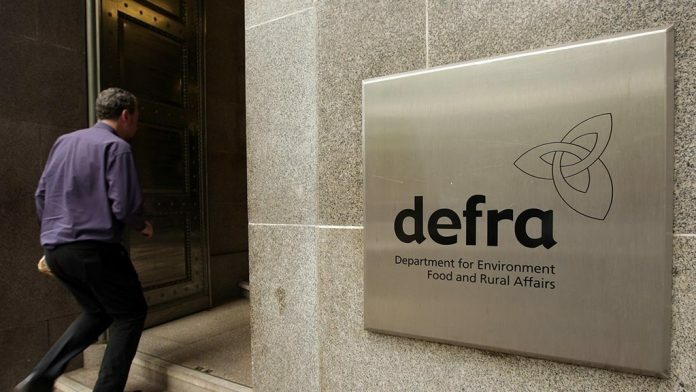 The UK’s Department for Environment, Food and Rural Affairs (DEFRA) has unveiled new rules for farmers to reduce diffuse water pollution from soil, fertiliser and manure. The rules aim to meet new UK obligations under the European Union’s Water Framework Directive. Growers will now be expected to test pollution risks in soil every five years before planting, as well as account for the slope of the land and proximity to fresh and coastal wetlands. Farmers will also be encouraged use organic fertilisers to reduce ammonia pollution, using a £12 million grant from the UK government. “Farmers must manage their land responsibly, using fertilisers and pesticides with much greater care — all the more so as the government considers new payments that increasingly reward environmental and public benefits,” said Emma Howard Boyd, chair of the Environment Agency In February 2018 the Environment Agency responsible for enforcing the new rules published a report stating that agriculture remains the main cause of water pollution. It said that while water quality has improved overall since the early 1990s, only 14 percent of rivers reached “good overall ecological status” in 2016. This was found to be the result of high levels of phosphorus residue transfers from farmland and sewage systems. Groundwater had also deteriorated, with less than half showing healthy chemical consistency. “There are still far too many serious pollution incidents which damage the local environment, threaten wildlife and, in the worst cases, put the public at risk,” Boyd added. The UK government has a 25-year environmental plan to rehabilitate three-quarters of the country’s waters to their natural state. It is expected that the new rules announced by DEFRA will be instrumental in achieving this goal. Thérèse Coffey, the UK environment minister said the new rules would “help improve water quality, set a level playing field for all farmers, help businesses save money from better resource efficiency and improve their resilience”. Next articleDoes your sludge handling operation require a booster shot?